Over the recent long weekend I got together with some friends for an Ottolenghi feast which was unsurprisingly a delicious affair. 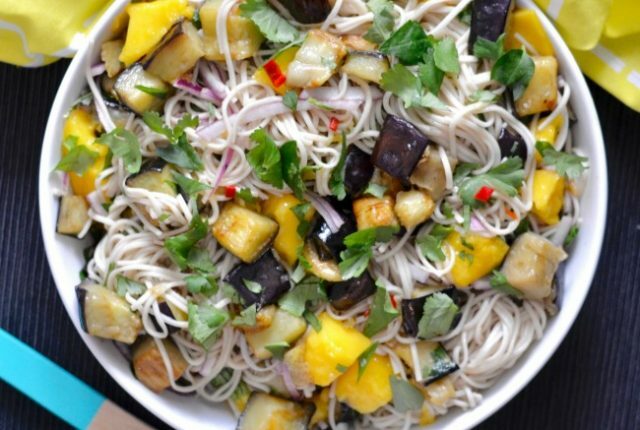 I decided to whip up this eggplant mango soba salad because I can’t go past soba noodles! It was delicious and even relatively easy for an Ottolenghi recipe! 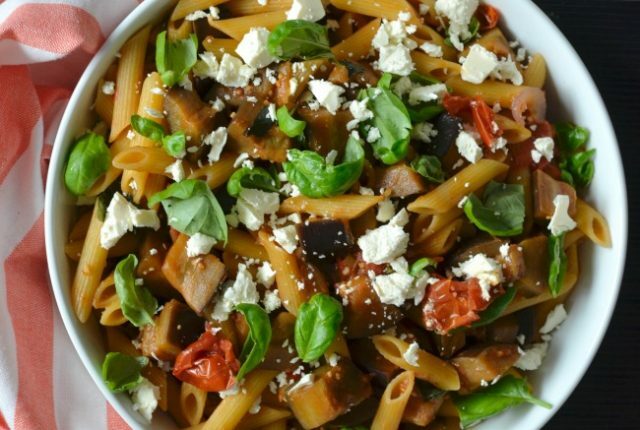 This eggplant chilli pasta is such an excellent way to highlight the delicious produce available at the moment. It’s quick and easy to whip up, relatively healthy & oh so delicious. Perfect for dinner or make ahead for lunches. 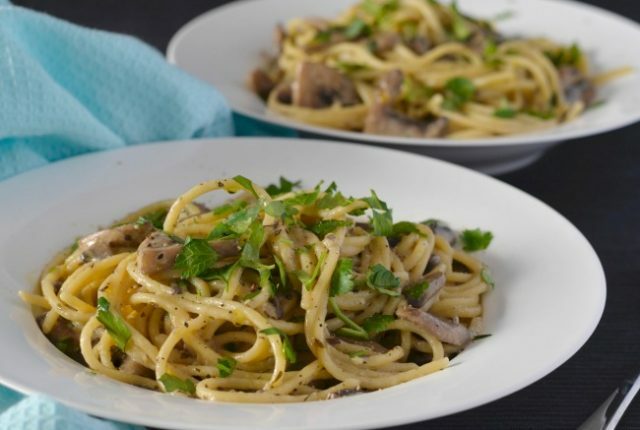 With Winter well and truly upon us pasta dishes have definitely been top of mind, and this garlic herb mushroom pasta is an absolute winner. It’s rich, creamy and oh so delicious, but can also be whipped up in no time at all. Perfect for a cold winter’s night! 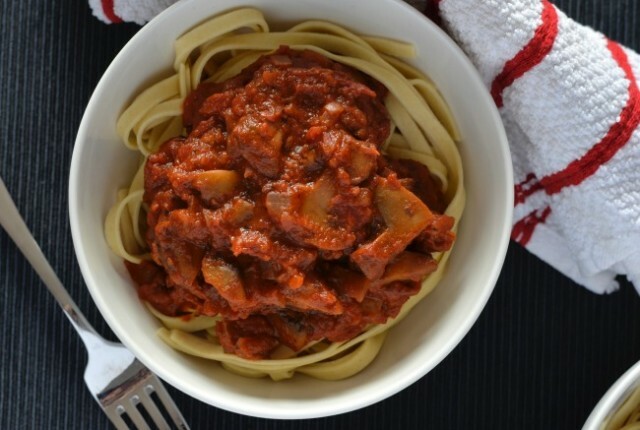 This mushroom marinara makes the perfect winter warming dinner meal – it’s so rich, hearty and filling that even meat-eaters will be satisfied! I love whipping up a batch on a Sunday afternoon and leaving the leftovers to warm me up on Monday night. Perfect! 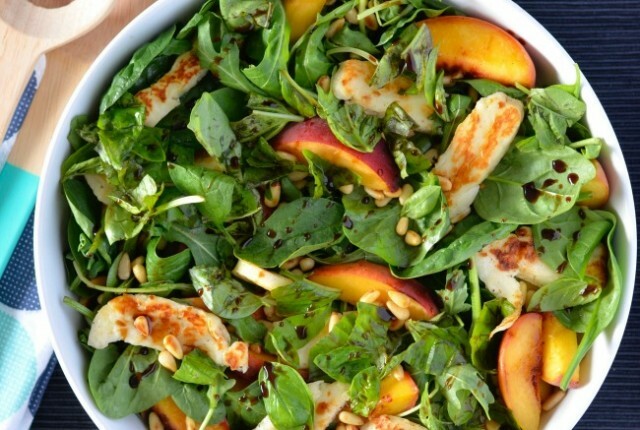 The idea for this salad came about when I spotted some gorgeous looking peaches at my local fruit & veggie shop. I wanted to do something with them a bit more special than just eat them straight or pop them on top of my overnight oats, so a peach haloumi salad it was!